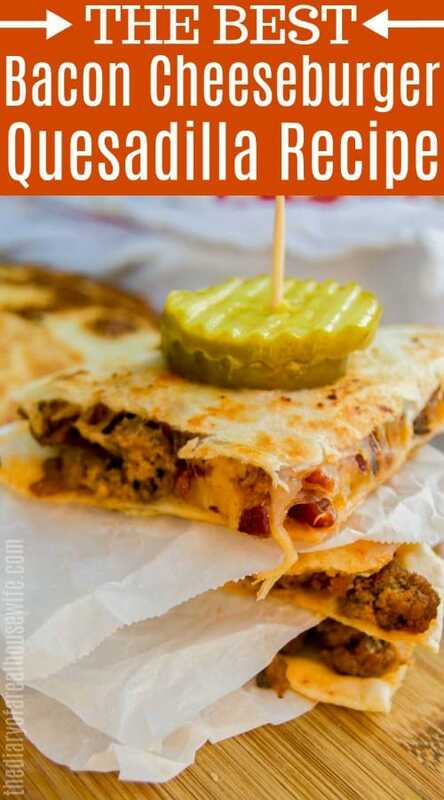 This may be my favorite way to do a quesadilla! 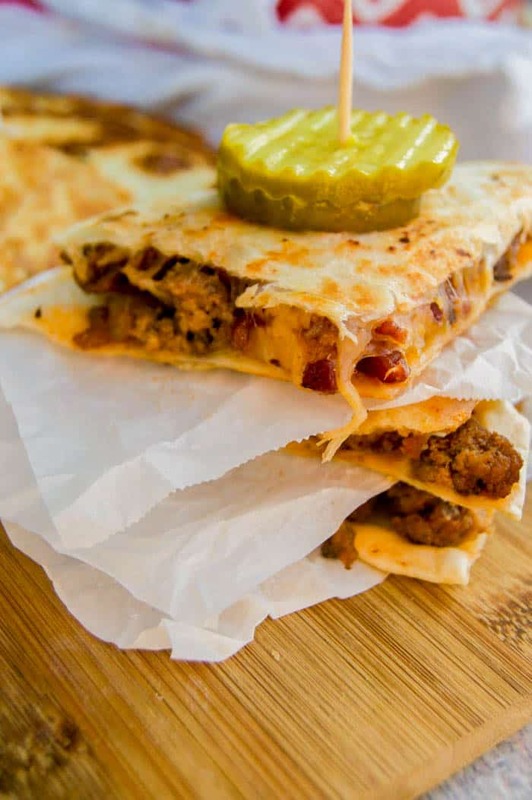 These Bacon Cheeseburger Quesadilla are full of flavor and taste amazing, you must try them out! This recipe is so easy to make and sooo good! I think it ranks high on the list for my husband’s favorites. Cook and crumble ground beef in a skillet. Drain fat then add in onions. Allow cooking for 1-2 minutes then add ketchup, mustard, Worcestershire sauce, and bacon bits. Mix until well combined. Set aside. Add flour tortilla to a skillet and top with burger filling and top with shredded cheese. Place another tortilla on top and cook until cheese is melted. Flip and cook for another 30 seconds – 1 minute. I topped mine with sliced hamburger pickles with a toothpick. Of course when you are ready to eat you want to take the toothpick out 😉 But that is a burger without pickles! 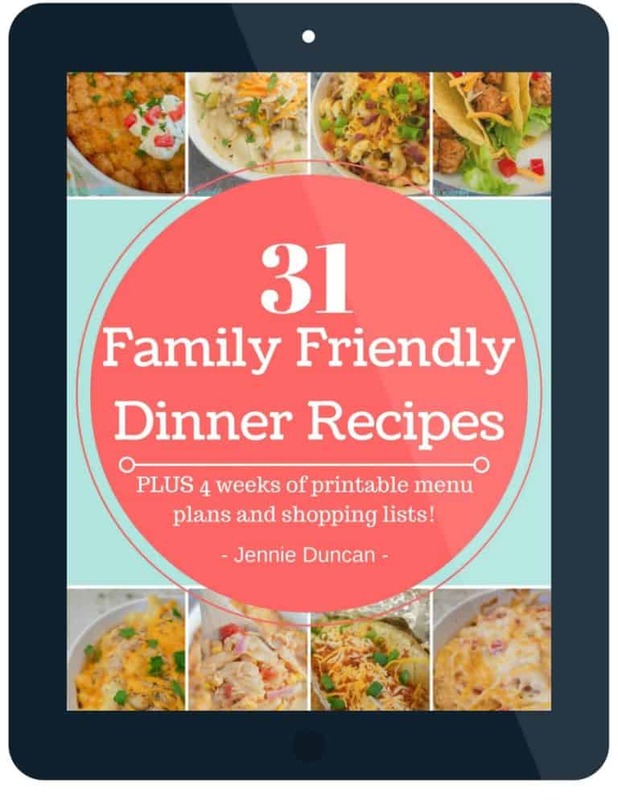 I would consider this an easy and inexpensive meal and here are a few more tips to save money when shopping. I used real bacon bits because it’s cheaper and easier. Serve it with a side. Eat less by making a bag of steam veggies or a salad with this meal. Make sure to have a plan when you are at the grocery store. 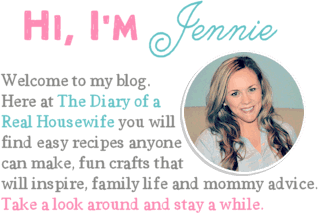 If you feel lost or feel like saving hundreds of dollars on your groceries would really help your family then check this out, The Grocery Budget Makeover. Beef and Rice Casserole: Classic recipe that is simple to make with simple and cheap ingredients. This Beef and Rice Casserole is filled with ground beef, corn, broccoli, rice, and topped with lots of cheese! Cook and crumble ground beef in a skillet. Drain fat then add onions. Allow to cook for 1-2 minutes then add ketchup, mustard, Worcestershire sauce, and bacon bits. Mix until well combined. Set aside. Add flour tortilla to a skillet and top with burger filling and top with shredded cheese. Place another tortilla on top and cook until cheese is melted. Flip and cook for another 30 seconds -1 minute. Optional: Top with pickle for garnish and enjoy! Yum! Your article made me salivate! 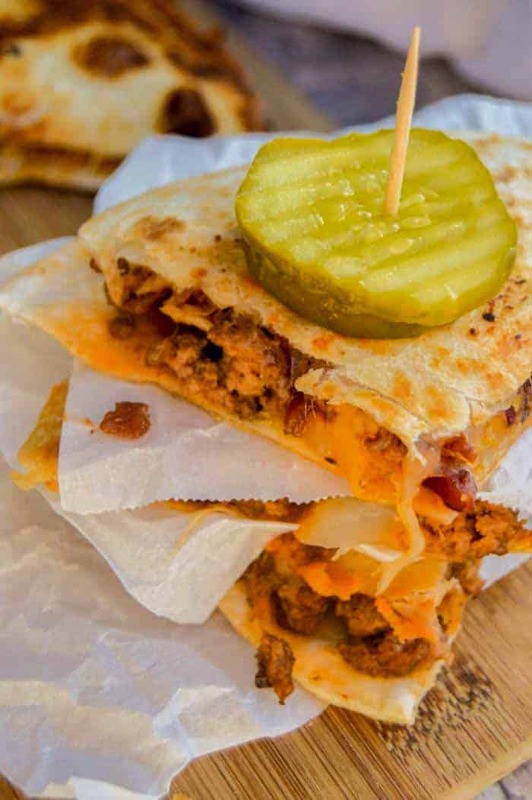 That bacon cheeseburger quesadilla looks really delicious. I appreciate you providing the recipe on how to make this burger. It’s actually good to find out that the ingredients can actually be bought in the local market. The instructions seem to be pretty simple as well. But I just don’t have the time to make one right now because I just recently transferred to a new place. I’ll probably settle for the nearest burger joint in the area for the meantime. Thanks for sharing this, though.